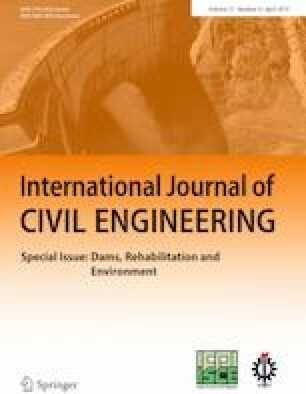 In this study, blast furnace slag- (BFS) and Elazığ ferrochrome slag (EFS)-based geopolymer concretes were produced. Samples were immersed in 5% phosphoric acid (H3PO4), hydrochloric acid (HCl), hydrofluoric acid (HF) and sulfuric acid (H2SO4) solutions for 12 weeks. The compressive strengths, ultrasonic pulse velocities, weight and length changes of the samples were determined in this process. At the same time, visual inspections of the samples were investigated. Scanning electron microscopy (SEM) analysis was performed for the microstructure analysis of the samples removed from the solutions. 5% H2SO4 solution had the most negative effect on the samples. As the EFS ratio in the geopolymer concrete mixture increased, the loss rate in the strength of the samples exposed to acid solutions decreased. H3PO4 solution caused less weight loss in samples than other acid solutions. It was seen that the samples immersed in H3PO4 and HCl solutions shrank and that the samples immersed in HF and H2SO4 solutions expanded. Softening, cracking and corruption occurred on the surfaces of the samples exposed to the acid solutions for 12 weeks. With increasing EFS ratio in the mixture, the deterioration of the samples’ surfaces exposed to acid solutions decreased. Ettringite formations were seen in the SEM images of geopolymer concretes immersed in 5% H2SO4 solution. The research work reported in this paper was supported within the research project number BAP 2016/115 by Inonu University, Scientific Research Project program.